Douglasville dumpster rentals business is here for homeowners, For home renovations, both big and small, our dumpsters can get the job done. 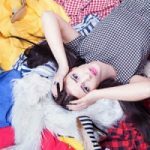 These dumpsters handle the unwanted junk you may want to get rid of, as well as the debris that you might find yourself stuck with in the aftermath of a storm. As an added bonus, homeowners with driveways might appreciate the rubber wheels we utilize, as opposed to metal wheels that can leave unsightly marks in their wake. Regardless of the nature of your debris, Dumpster Rental Solutions offers its customers full-service load and removal. The variety of dumpster sizes we provide means we’re also a great match for builders and contractors. Our commercial customers include companies working in demolition, renovation, restoration, roofing, and landscaping. Even when the scales of their jobs change, their dumpster provider always remains the same: Dumpster Rental Solutions. If you are unsure of the dumpster size you require for your upcoming project, we can work with you to pinpoint the ideal dumpster to suit your needs. Whether your job is big, small, or anything in-between, we’re ready to help you avoid wasting your valuable time and money. 10 Yard Dumpsters: Our smallest dumpsters are a good fit for smaller jobs, such as small single room restorations. They take up less room, and can be accommodated in a normal parking space. 15 Yard Dumpsters: A dependable option for smaller projects that might be a little more involved. 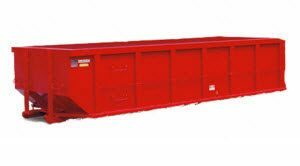 20 Yard Dumpsters: Ideal for demolitions, flooring removals, multiple room renovations, or clear-outs of basements, garages, and attics. 30 Yard Dumpsters: A good option for big projects, such as entire home clear-outs, new constructions, home remodels, commercial property renovations, and the removal of landscaping debris. 40 Yard Dumpsters: Our largest size, these are best suited for the biggest jobs. Portable Toilets and Storage Containers: These can be very convenient to have on the job site. If you need them, we have them available for rent. 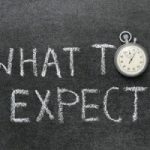 Complete Junk Removal Services: Why settle for just the dumpster? We can do the dirty work for you! You only pay for whatever we remove (and we can remove anything with the exception of hazardous waste). We try to recycle, repurpose, reuse or donate many of the items our customers don’t want. If you’re looking for help with waste removal on a residential job, or if you’re seeking dumpsters for commercial projects including demolition, renovation, or general construction in the Douglasville area, Dumpster Rental Solutions is here to help you. For additional information or to schedule Douglasville dumpster rentals, call 678-807-9328 or email us at info@rolloffdumpstersolutions.com.